Chairman of the San Pedro People’s United Party (PUP) Executive Committee, Mr. Milo Paz Jr., has confirmed to Ambergris Today that June 12, 2011, has been set for the PUP’s Belize Rural South (BRS) Convention to elect its candidate for standard bearer to represent the party for the upcoming General Elections in 2013. The convention will take place at the Rafael Angel Nuñez Auditorium, San Pedro High School from 9am to 5pm. PUP party supporters will have the option to vote for their candidate of choice. Three candidates have submitted their interest in running for the PUP BRS position, them being: Ms. Patty Arceo, Mr. Ramon Reyes Jr. and Mr. Baldemar Graniel. An additional voting station will be open in the island of Caye Caulker at the Caye Caulker Roman Catholic School from 9am to 4:30pm. Ballots from Caye Caulker will be transported to San Pedro where they will be counted along with the ballots from San Pedro after the 5pm closing hour. Voters will need a picture identification card in order to cast their vote and Mr. Paz explained that voters do not need to be PUP voters to participate, as long as they are not active United Democratic Party (UDP) supporters. Anybody wishing to show support for one of the three PUP BRS candidates is invited to participate in the convention. San Pedro Town has 5,000 plus registered voters while Caye Caulker Village has 700 plus registered voters for the Belize Rural South constituency. I only hope the two San Pedro candidates are mature enough that when they lose they still remain loyal to their party. These three are about the same calibre but I support a new face for a real change. can anyone vote??? for this?? "Voters will need a picture identification card in order to cast their vote. Voters do not need to be PUP voters to participate, as long as they are not active United Democratic Party (UDP) supporters. Anybody wishing to show support for one of the three PUP BRS candidates is invited to participate in the convention." It will be a very interesting convention. I plan to participate in it. Both Patty and Baldemar are from San Pedro and are two good candidates. Ramon from Caye Caulker has been very actively campaigning in San Pedro. 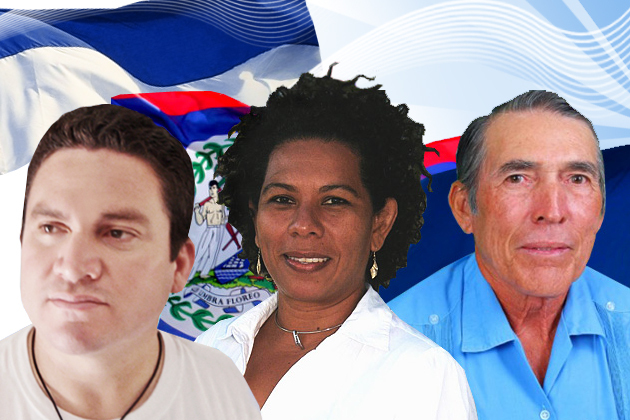 From what I have heard is that Patty is Strong in Caye Caulker, Baldemar has support in San Pedro and Ramon has been the most active one in the campaign trail. Now for who will I vote? That decision is yet to be made. I have a few more days to decide. Any suggestions?